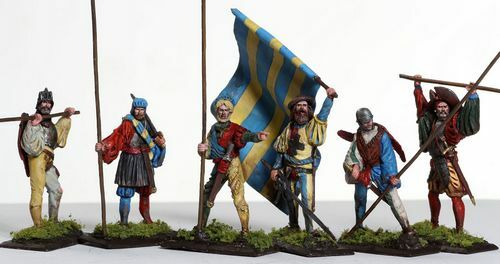 This series is expected to increase to a total of Eight Sets allowing you to create a Landsknecht square, but with all unique and different figures. This series has been designed to work with the First Legion Renaissance Collection. 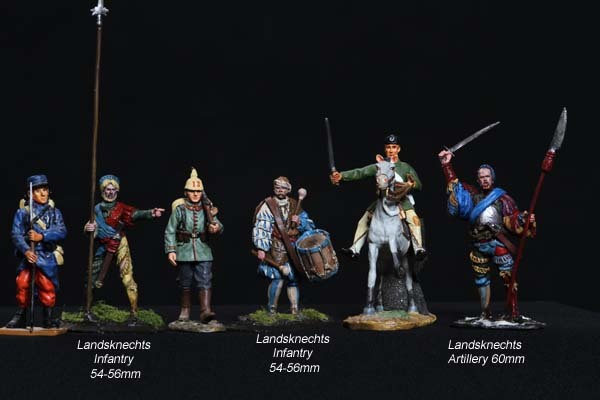 Yes we would use it with Most Medieval Collections including existing King & Country and First Legion Collections.